Arrive at Maun Airport, where you will clear customs and immigration and collect your luggage.You will be met in the Arrivals Hall by our representative, for your 30 minute flight into Khwai airstrip, across the Okavango Delta. 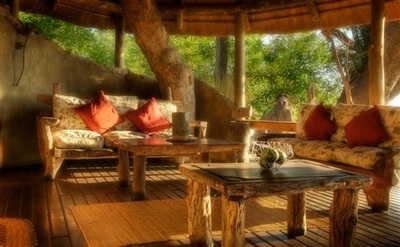 Sango Safari Camp nestles in the shade of huge trees, overlooking the Khwai River. Close to the traditional Khwai Village, and bordering the world famous Moremi Game Reserve, this small and intimate camp offers guests the perfect base from which to explore the wildlife and cultures of Botswana. 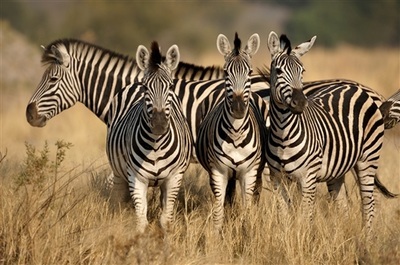 Guests will have the chance to learn first-hand about the unique lifestyle and experiences that come from living and growing up in one of the most wildlife rich areas of Botswana. 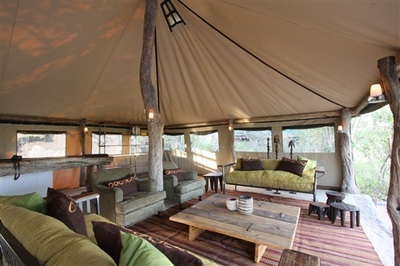 The Camp accommodates only 12 guests in 6 en-suite meru tents, all themed like the classic tented safari camps of days gone by. The open-air bucket showers and the hand crafted furniture evoke the atmosphere of a luxury mobile safari camp, but with added luxuries. With the Khwai River forming a natural border between the Moremi Game Reserve and the Khwai Concession, animals travel freely between the reserves. 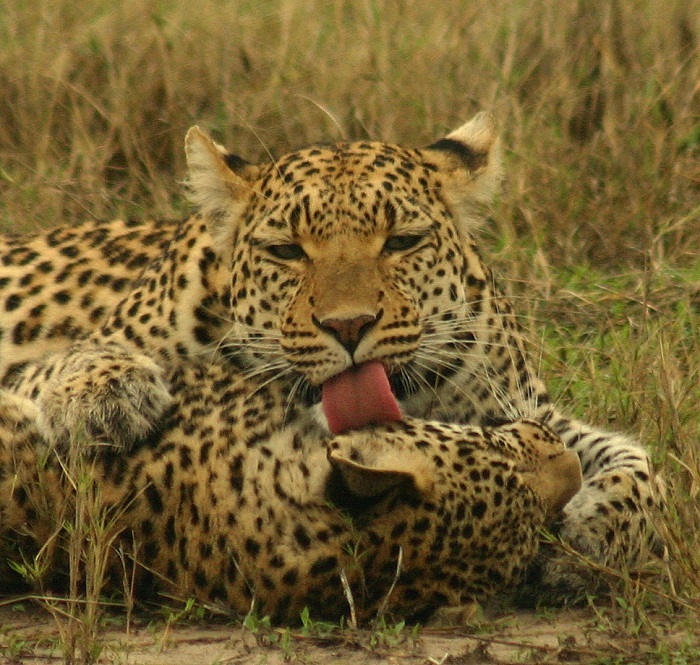 Situated on the river overlooking the Moremi and with access to both these magnificent wildlife areas, Sango Safari Camp is focused on delivering an exceptional wildlife experience allowing guests to take advantage of a host of wildlife activities including; open vehicle game drives in Moremi and the Khwai area, guided bush walk and night drives. With a combination of permanent water, seasonal floodplains, open grasslands, riverine forests, and dry woodlands this incredibly rich habitat supports a diversity and abundance of mammals and birds rarely matched in northern Botswana. Sango Safari Camp invites you to share in this bounty. All activities are subject to seasonal availability and weather conditions. Walking and mokoro activities may be limited in the wet season (December - March) due to dense vegetation. After a morning activity and brunch, you will be chartered from Sango Camp to Mapula Lodge, 30 minutes away, across the Okavango Delta. A permanent life giving swamp, the Okavango Delta rises in the Angolan Highlands, and enters Botswana below Namibia’s Caprivi Strip region. Mapula Lodge is the perfect Botswana safari destination for anyone wanting to experience the beauty of untouched African wilderness. 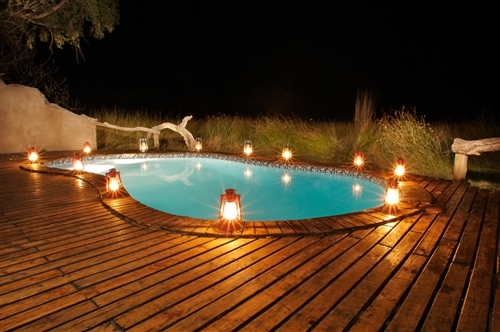 A small camp, Mapula Lodge offers flexibility that only an owner operated lodge can afford. From birding safaris within the belly of a mokoro, to village visits and night games drives the warm, friendly and knowledgeable staff at Mapula Lodge are there to help you experience it all! The lodge itself is wrapped around the trunks of African hardwoods, with the roots and branches featuring throughout the camp. The panoramic view from each room engulfs you in the wonders of your surroundings, while the private verandas, shaded under the canopy of the delta, provide you with an ideal spot for high tea or sundowners. Mapula Lodge has eight double rooms and one family chalet. 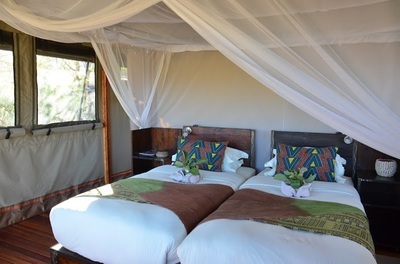 Each room is up on stilts, reaching above the bush scrub, and has an en-suite bathroom complete with open air shower and deep, more traditional style, zinc bath tub. The rooms either have large double beds or two spacious single beds, a small lounge area and a private veranda. After your morning activity and brunch, return to Maun by light aircraft, for your onward arrangements.